KILLINGTON—A new restaurant and tasting room is coming to town. 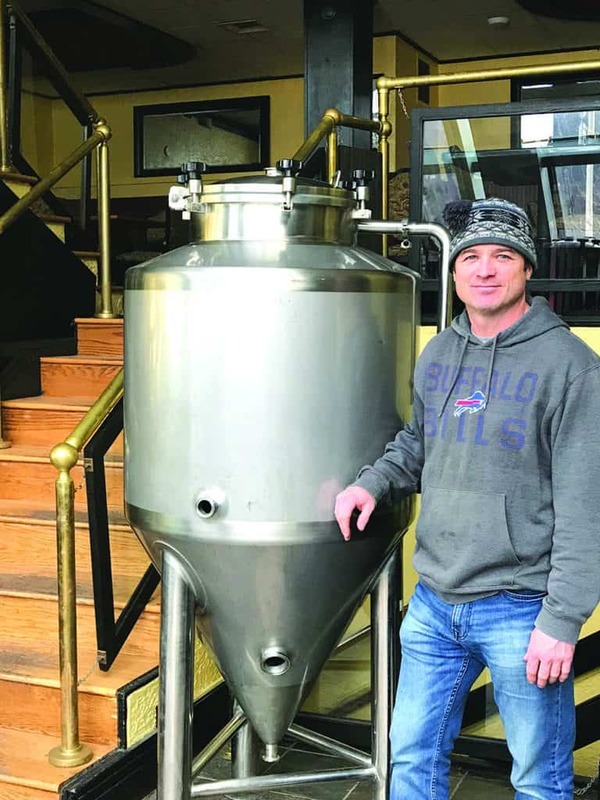 Dale Patterson, the owner of Hop’n Moose and Rutland Beer Works, LLC, is opening a tasting room in the Mountain Green condominiums across from the Killington Grand Hotel this Thursday. He plans to call the restaurant/tasting room Rutland Beer Works. The menu will be similar to the Rutland location of Hop’n Moose, featuring homemade brews and American food. After five years in Rutland, Patterson had no plans to open a restaurant in Killington. He was approached about the idea by Mountain Green Property Manager Mike Moriarty about six weeks ago. Moriarty said several condo owners who regularly eat at the Hop’n Moose wanted to have the restaurant there. “We think it’s a good fit,” Moriarty said. Condo owner David Prussen said he’s been a fan of the Hop’n Moose for two years and is eager for the opening day in Killington. “It was exactly what we were looking for,” Prussen said. Patterson expanded his craft beer business and opened Rutland Beer Works on Granger Street in Rutland last year. Patterson decided over Thanksgiving that he was going to open a new location in Killington. He signed a two-year lease agreement and has since been scrambling to open as soon as possible. “We’re getting down to the wire,” said Patterson at the Mountain Meadows restaurant Monday morning, as he printed menus and set up his new 96-seat restaurant. Patterson drove his liquor license to Montpelier that afternoon in order to be able to open his restaurant Thursday. Patterson, a former salesman with CNC Router Parts, was always traveling, and was searching for a way to be home with his family more often. Patterson opened the Hop’n Moose with a friend. Patterson’s friend, who has since left the business, managed the food, while Patterson managed the beer. Patterson learned how to make beer as a child growing up in a small town in Canada. His father made his own beer from scratch in their basement about once a month. Patterson and his brother Kevin helped cap bottles. Once, Patterson and Kevin even tried to make their own root beer themselves. “It wasn’t the greatest root beer ever, but it was fun,” said Kevin. When he got older, Patterson continued making his own beer in his garage every Saturday. “One thing he figured out is how to make really good beer,” Kevin said. Patterson moved from Canada and came to Vermont to attend the University of Vermont on a hockey scholarship. He moved to Rutland to be with his then wife and he’s stayed for 20 years. Kevin said part of Patterson’s success in the restaurant industry is due to his competitiveness. Multiple business have struggled in the Killington location over the last decade. A seafood and Italian restaurant closed there in April after three years. The statistics don’t concern Patterson. “When you factor in that 90 percent of restaurants fail anyway, it doesn’t scare me,” he said. Patterson is hoping his homemade beer will entice people in the door. “Craft beer is something people typically seek out,” he said. The restaurant, located at 135 East Mountain Road, will be open seasonally, November-March, from noon to 10 p.m. Thursday-Sunday. It will feature live music Thursday-Saturday. Patterson also plans to have canned beer and wine for purchase in a cooler. Dale Patterson, the owner of Hop’n Moose in Rutland, is getting ready to open a new location in Killington Thursday, Dec. 13.